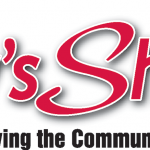 Today’s Shoppper – Celebrating 23 years of service to the South Jersey community! Total Mailed Circulation January 1 st 201 7 83,188. We specialize in this local area. We understand the market. Our graphic designers and Account Executives are trained to create ads for maximum impact. We know what it’s like to operate a small business. Loyalty-Loyalty We published our first paper in October of 1994. Many of these first advertisers still advertise with us for one reason. Consumers read and use our paper. Some of the advertisers have never missed an issue for 23 years straight. Today’s Shopper –Because it’s affordable – and a local favorite. 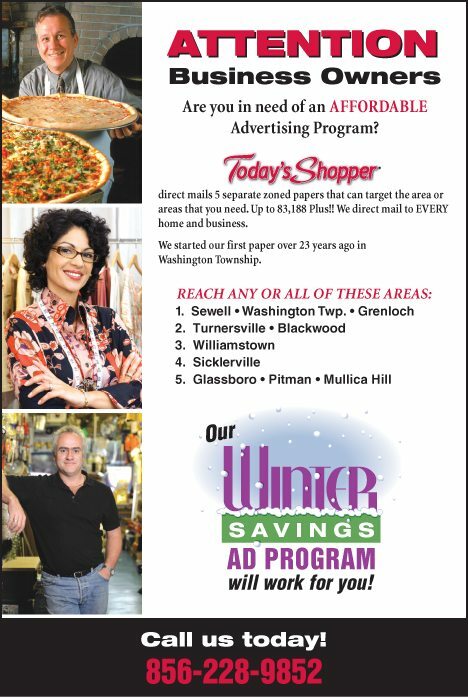 BONUS : Today’s Shopper First Time Advertiser Program Makes It Easy To Try Us. Call 856-228-9852 To Reserve Space In Our Next Issue Ask Your Today’s Shopper Advertising Consultant for Details.